In The Flying Squirrel plantations in Coorg, long rows of coffee bushes poke out their branches with red swinging cherries. 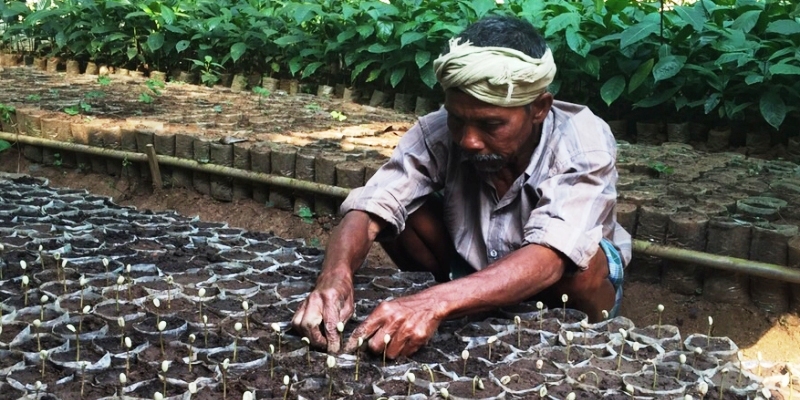 Founder Ashish Dabreo defines their cultivation “a combination of science and art.” In the fields, vanilla, citrus, banana, spice, and cardamom patches nourish the coffee with their aroma. 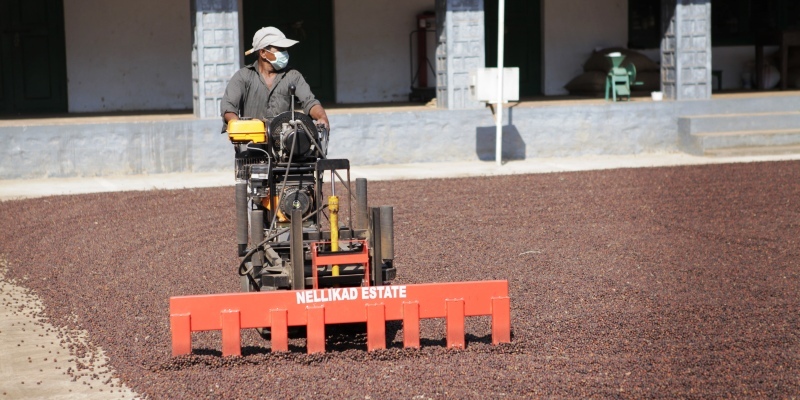 Machines wash and pulp cherries; big pools collect them at various stages of fermentation to create different textures and characters; and billion of beans are poured on vast brick yards for drying, raked in multiple cycles. 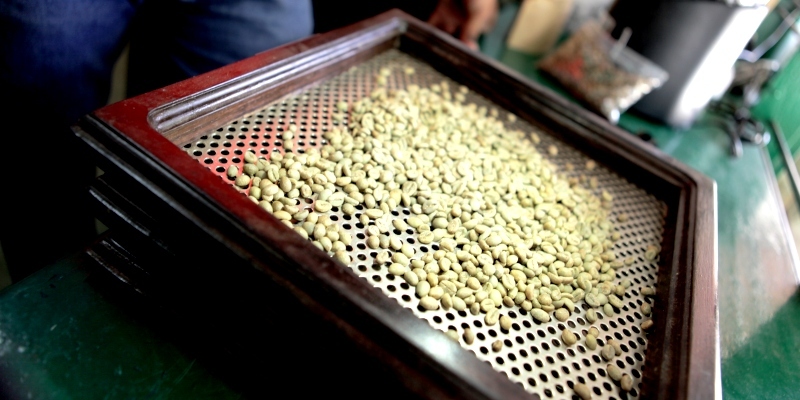 Experimenting is one of the magic ingredients of the company, which produces and sells high quality coffee. 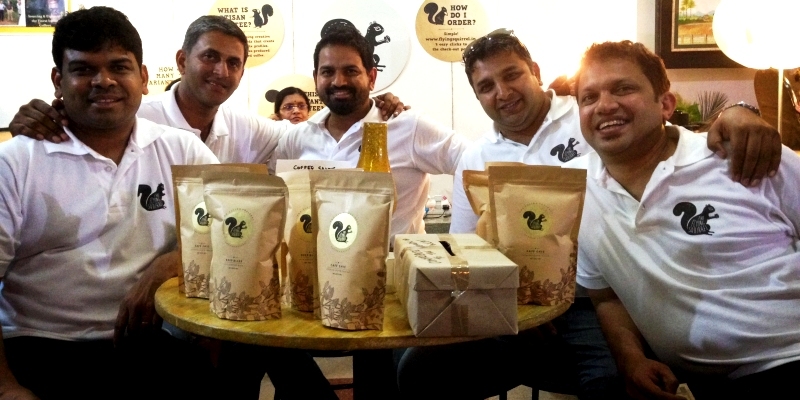 The passion that grows coffee and fuel the company has its roots in a childhood spent in Mangalore, where friends and relatives use to gift coffee beans from their estates. “Drives up to the estates every few months for holidays or weddings were all contributors to our early coffee indoctrination,” says Ashish. After innumerable cups of coffee, Ashish decided to start up a company in 2011 because good quality coffee in India was hard to find. 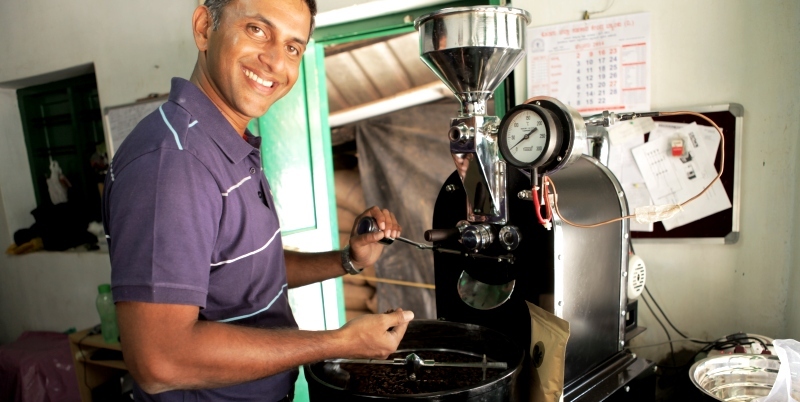 “When we began R&D on cultivation and blending there were not many significant online players in the market selling non mass-packaged freshly roasted and ground coffee,” says Ashish. Since they started, the team has been very particular about the consumers they want to target: not those who look for their ‘caffeine fix’ or their ‘morning jolt’, but those who are ‘serious coffee drinkers’. Two years later, The Flying Squirrel sold its first batch of coffee. “In the two years that we took for product development a few brands began retailing online. 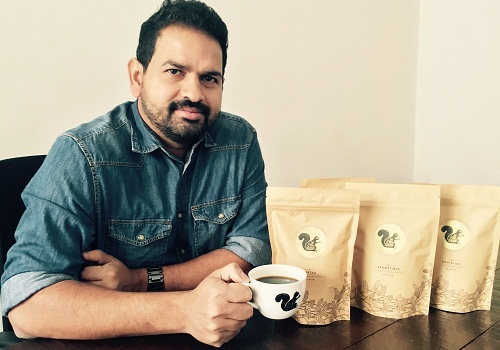 In the last six months there has been a surge in online coffee brands,” remarks Ashish. “Unlike a lot of our competitors, we grow our own coffee as we have been doing so for generations,” he adds. Ashish’s college friend Tej, who is now a farmer, takes care of coffee from its growth till its drying in Coorg before the beans are sent for roasting and packaging to Bangalore. He continues, “Tej works on the farm and is one of the most passionate growers one would have the privilege of talking to. He has an in-depth knowledge of coffee cultivation and a very contemporary approach to technology. 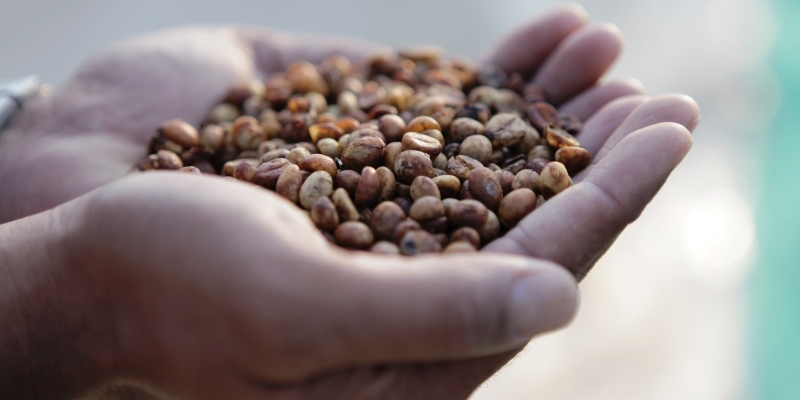 This and our innovative methods to get exciting bean profiles, makes us unique.” The rest of the team has expertise in branding, design, digital marketing and advertising which matches with and completes the farming skills. To learn more about The Flying Squirrel and order some of their different types of coffee click here.